It is K beauty time ! 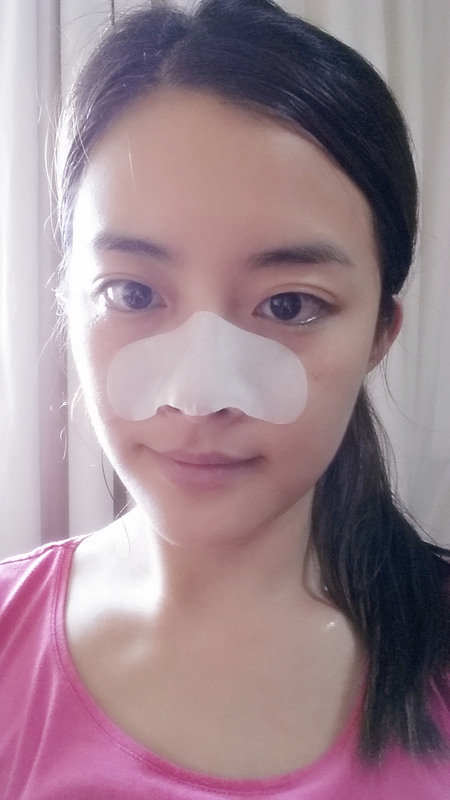 Weather is getting hotter and it is time to take care of my pores. Also , im starting outdoor shootings ( though i still shoot at Cafe sometimes ) . Make up + perspiration is not a good combination and it may clog my pores. So i need to do something about it. Especially the nose area which is prone to clogged pores. I bought a new nose pack by Skinmiso. I was recommended this product and i decided to buy from a Korean online shop. Took 3 days to deliver to SG from Korea. Faster than our local registered mails lol. Basically it is a 3 steps nose pack. The packs are labelled 1 , 2 and 3 so you will not get mixed up . Cleanse your face before you begin these 3 steps. So firstly , put on the first nose sheet for 10 minutes ( labelled as Step 1 ). Then take a cotton swap or those thing you use to remove white/black heads from your nose. After that go on to Step 2 nose sheet for 10 minutes. After that , just use a damp tissue to clear off any excess serum from Step 2 before you apply the Step 3 essence ( in tube ) . 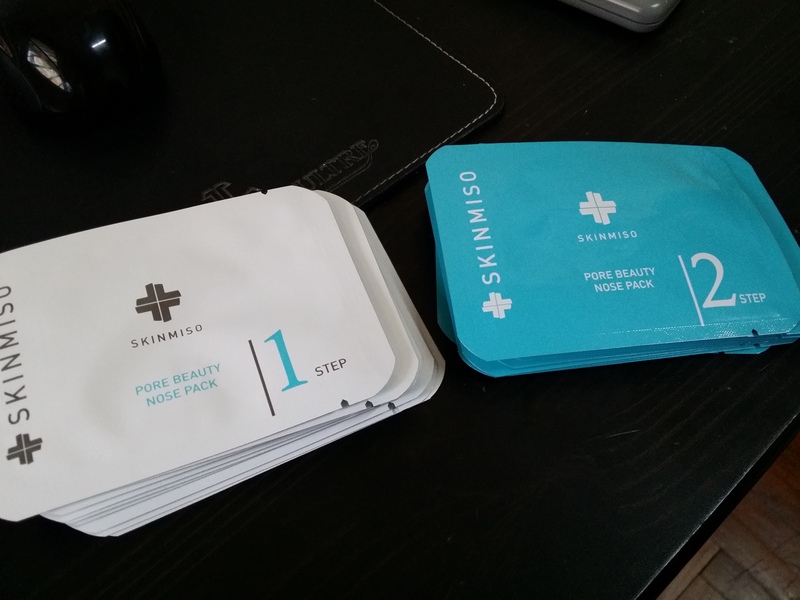 This is the first time im using Skinmiso white and black head removal nose pack. After the first nose sheet (Step 1), your black heads and white heads are supposed to “pop out” from your pores. For my case , i can only see it coming out from the bigger pores. Whereas for the smaller pores , the white/black heads come out pretty easy and fast after using cotton buds to push it out gently. I do not need to use alot of force and the white/black heads come out pretty quick. The step 2 nose sheet helps to contract the pores with its witch hazel extracts and yet keep the skin around your nose moisturized. It in indeed moisturized my skin and i can see my pores became slightly smaller after using it. 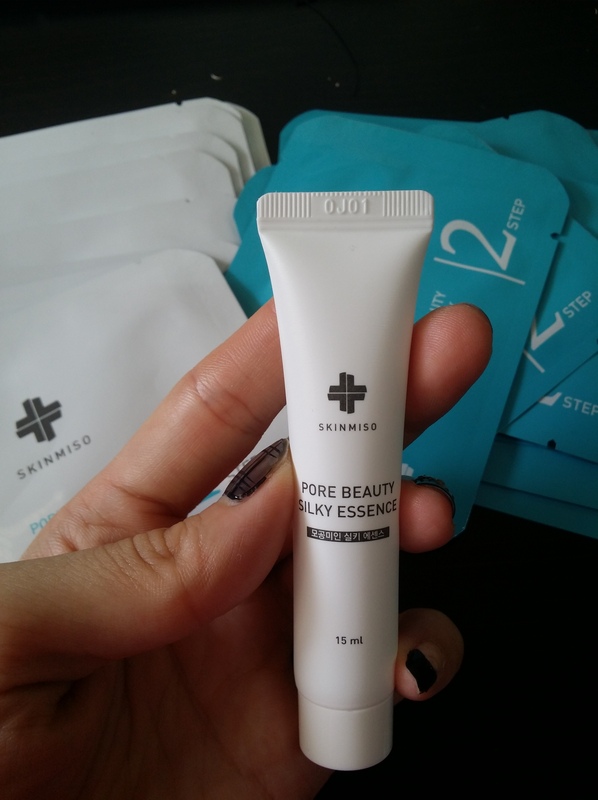 The sheet was well soaked with serum and not to waste any single drop , i applied some on my cheeks , chin and T zone which are prone to enlarged pores. Step 3 is an essence which helps to control serum production. It is supposed to leave your nos area silky smooth and dry. Though it doesnt leave my skin really dry but it does give a velvety feel which i really like. Well , this is the first time im using this pack and i can see that the sides of my nose looks cleaner and also the pores are slightly smaller. When i touch the sides of my nose , i can’t feel any bumps (black/whites) and it is smoother. It was recommended to use it twice a week. Overall , i like the effect and since i can see slight visible results after the first use, i guess the results will be better after continuous usage. Shall do a review again next weekend. By the time , i will be in my 4th sheet. This nose pack costs KRW 23,900. It comes with 10 packs of Step 1 , 10 packs of Step 1 and 1 tube of essence. 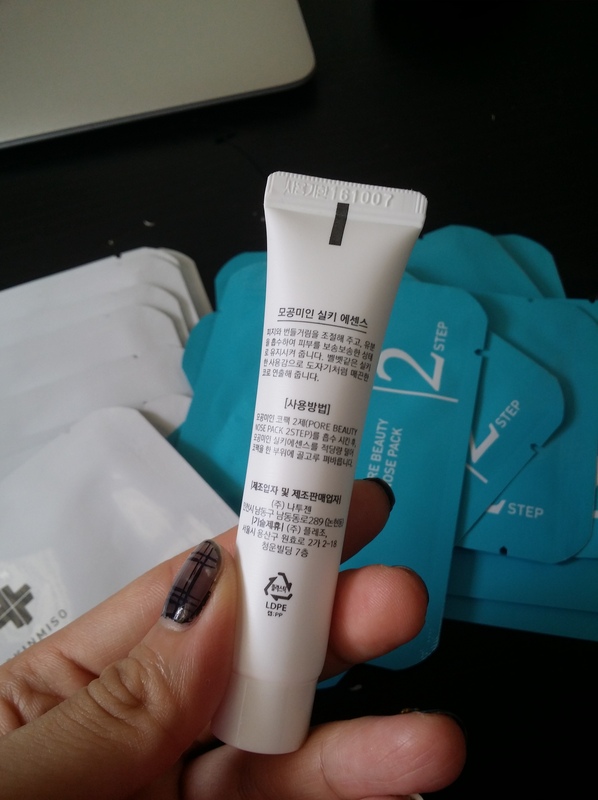 The products comes with Korean instructions. 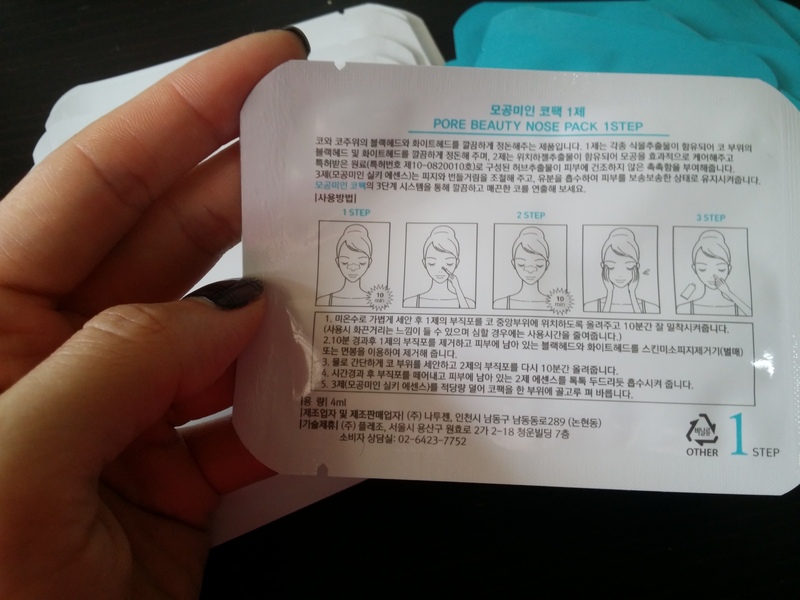 But for Step 2 nose pack which is in blue , the instructions are in English. Can’t wait to try the 2nd time to see how well it goes !